For centuries, people have been coming here for natural beauty and quiet charm. Spanish explorers were drawn to the area in the mid-1500s. 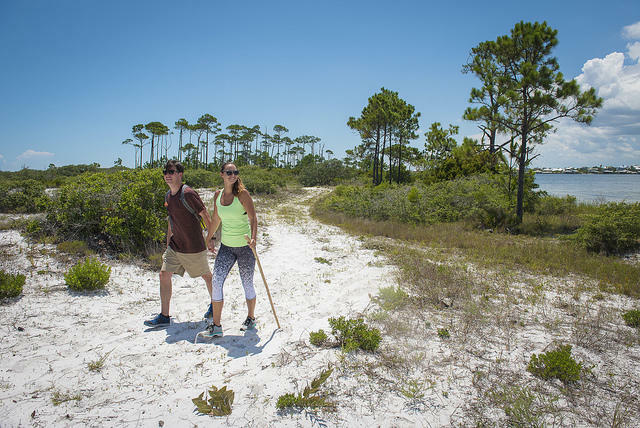 They named it Perdido Key, or “lost island,” as they sought a hidden pass to the sea. The name stuck. The island is marked by nature’s mysteries. Even today, no more than 60 percent of the Key may be developed, the remainder preserved for conservation. Of course, the island still offers a few condos, boutiques and eateries too, but nature is what keeps visitors coming back. Daybreak on Perdido Key is nature’s gift. Start at Johnson Beach at Gulf Islands National Park, where the sun’s golden glow peeks above the horizon and paints the sea oats gold. Nature puts on a show as pelicans glide inches above the surf and dolphins cut loops into emerald waters. Overhead, bald eagles and ospreys ride the winds, while herons stalk on foot and sandpipers trot around the waves. The sun warms your face, and a breeze stirs your hair. Take a deep breath, inhaling clean salt air. As the sun climbs in the sky, make like the explorers and go find some locals – wildlife, that is. 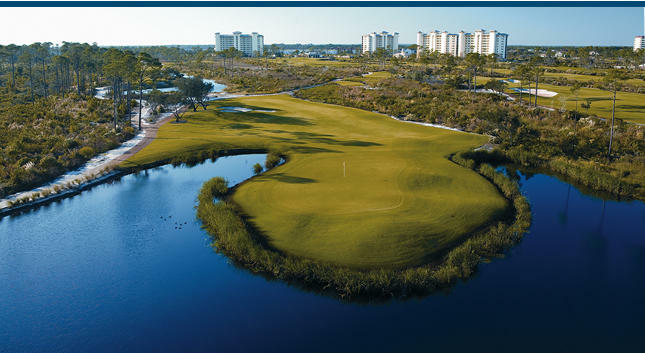 You’ll see alligators lolling in the ponds that dot Lost Key Golf Course. You could spend the morning swinging clubs, and may even spy some deer leaping across the fairways. Or, get out on the water. If you have a motorboat (both Flora-Bama and Lil John’s rent them), plan a picnic on one of the sandy isles dotting Old River. Motor out the ICW (Intracoastal Waterway) to check out the 150-year old ruins of Fort McRee. Gin-clear waters and white sandy shores make this a spot for anchoring and taking a dip. Brought your own kayaks? The River Road Kayak and Canoe Launch sets you out to wander Old River environs. And if Fido came along, the River Road Dog Park next door offers a place to frolic. 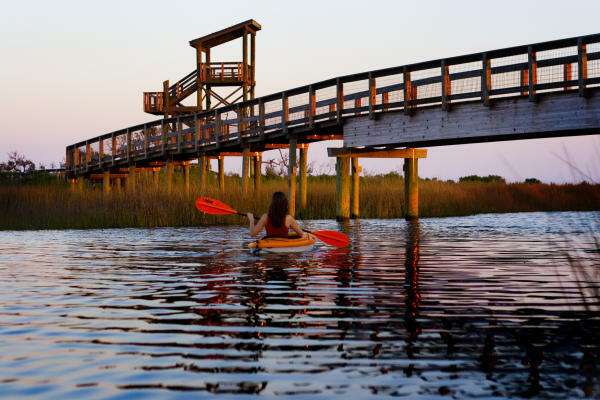 If you’d prefer local gear, cross over to Big Lagoon State Park to find paddleboard, kayak and bike rentals at West Beach. You may hear jet engines roar too, as our hometown U.S. Navy Blue Angels team practices along our coast. As the sun inches west, congregate on the deck of the Sunset Grille at Holiday Harbor Marina for libations and seafood. Or opt for the Oyster Bar, also perched on the ICW. Music lovers head to the Flora-Bama or to Purple Parrot Resort for live jams. The community loves live music, including the annual Frank Brown International Songwriter Festival. When the sky turns inky black, spread a blanket on the beach at Perdido Key State Park. Tread lightly, as you may encounter endangered species. Kemp’ s ridleys and loggerheads make their way ashore to bury caches of sea turtle eggs. Under the night sky, the white sand—made from quartz—reflects in the moonlight. Lean back and just try to count all the stars. You’ll make sure this place isn’t lost again.